The Annual Goacher's 1066 Old Ale evening, an event that started in Alan's days and continued since. Two pins on the bar this time and they were expected to go tonight. The pub was busy from 6pm opening time right through to closing, a good crowd of people enjoying good beer and hot pies. A splendid evening. Goacher's - 1066 Old Ale 6.70 On gravity dispense from the bar. A really enjoyable pint. New Year's Eve, as I was walking from the railway station to here I noticed that none of the pubs that I passed were much busier than normal, however this one was doing very well. I was informed that I had won a bag of brussels sprouts in the Christmas raffle but advised not to collect them as they had gone manky. A most enjoyable evening. 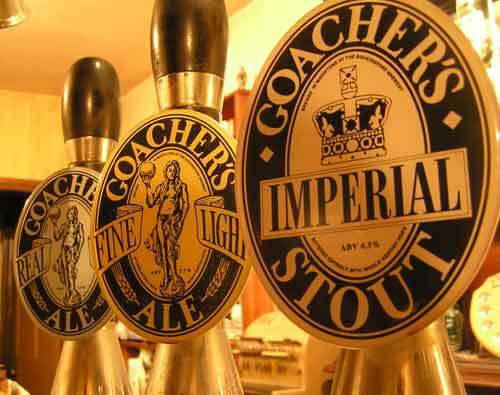 Goacher's - Real Mild Ale 3.40 Superb dark mild and good value for this area at £2.70 per pint. Goacher's - Fine Light Ale 3.70 This seemed a bit sweeter than usual. Wednesday evening soon after opening time. I had a good chat with a well known radio D.J. Evening visit, a good crowd in tonight. I was impressed to see Goacher's branded pint glasses with pint to line. There were four ales on pump but I did not make a note of what the fourth one was. About 5pm and I had travelled on the last bus of the day from Sittingbourne to Maidstone, this pub does not normally open until 5pm on a Monday but I was pleased to notice that it was open as I was about to walk past. It was good to see Polly the landlady back home after a recent illness, a good atmosphere in here today. I was told that they intend to open all day on Bank Holiday Mondays in the future. For me, no visit to Maidstone is complete without a visit to the Rifle, I arrived at opening time with just time for one pint before heading off to the railway station. Friday lunchtime and very busy indeed. Saturday evening, planned engineering works on the railway meant that I stayed for thirty minutes longer than originally intended. Two visits today, first one at evening opening and later for last knockings after going out for a meal. Some of the people that were in the pub at opening time were still there at 11pm. Saturday evening from opening time, my first visit since the new tenants took over and I am pleased to say that nothing has changed. 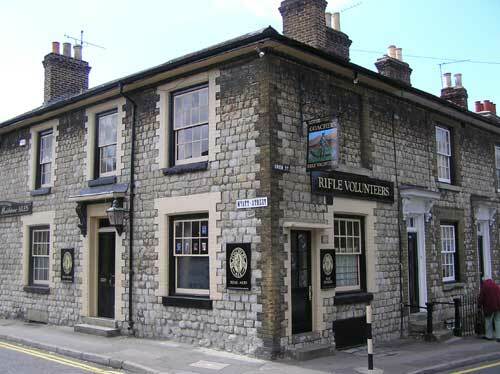 The pub is found in Maidstone, Kent, ME14 1EU. One of two Goacher's tied pubs. Decor has not been updated for some time, but that adds to the joy of this quiet pub. Light, Mild and Stout on regularly. 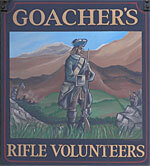 If you like Goacher's, then come here. Also, if you like a quiet pub with no airs or graces that serves well crafted beers then this is your place. 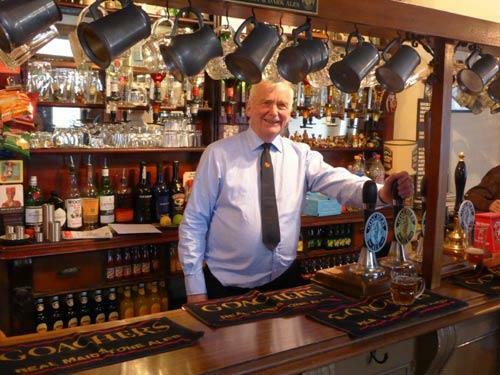 The long standing licensee of nearly 37 years (Alan) left in late February 2015 bringing a phase of the pub to an end. Pub closed for a week then re-opened under new tenants, Matt and Gina who were themselves replaced by Alex and Polly in February 2018. The 3 original handpumps have now become 4. Local CAMRA branch Pub of the Year 2016, CAMRA West Kent Pub of the Year 2016, CAMRA Kent Pub of the Year 2016. We have visited this pub 554 times, seen 10 different beers and tried them all.